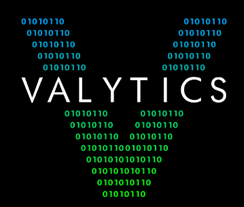 Valytics believes in corporate social responsibility and actively works to improve our community. We support and are a proud sponsor of the American Cancer Society’s Relay For Life, which brings entire communities together to honor cancer survivors, remember loved ones lost, and fight back against a disease that has already taken too much from too many. During each event, Relay For Life teams camp out overnight and take turns walking or running around a track or path at a local high school, park, or fairground. Because cancer never sleeps, each team is asked to keep at least one participant on the track for the entire 12 hour event. Valytics has contributed to the Relay For Life as an event sponsor and as a Relay team sponsor. To extend support for the Relay across our entire organization, we challenge our employees to “Stick It to the Boss”, by matching all employee donations. To date Valytics has raised over $80,000 to fight cancer and have been the top fundraising Northern Region Team twice.